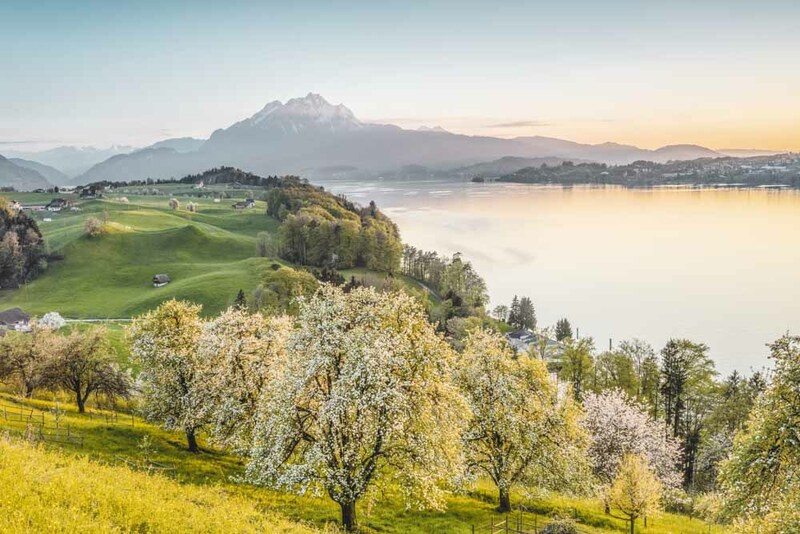 The picturesque area around Lake Lucerne and Mount Rigi is home to Haldihof, a farm where you can sample organic products including gin. Rustic room at Haldihof, a small farm and distillery in Switzerland. An organic farm set in the shadow of the alpine mountain of Mount Rigi and Lake Lucerne is producing an of-the-moment tipple that reflects the charm and history of its location, says Christine McCabe. Gin is the new black. Wherever I go these days I’m bumping into erudite young men and women beavering away at small copper stills concocting fragrant brews. Nowhere is out of bounds, from the Scottish Highlands to Kangaroo Island to the old meatpacking district of Helsinki to the impossibly picturesque Alps above Switzerland’s Lake Lucerne. Here former IT whizz Bruno Muff (who sold his company and digital cartography know-how to Google) and his wife Rebecca have carved out their very own version of The Good Life – with gin – in an old orchard tucked between the lake and the southern slopes of Mount Rigi, on the 114-kilometre Waldstatterweg walking trail. It’s a little off the grid, which is somewhat ironic given Muff’s Google Maps links, but not too hard to find. Jump on the ferry in downtown Lucerne for Weggis or Vitznau, and from there you can hike or catch Bus Number 2 (signed to Kussnacht am Rigi; hop off at Weggis – Langenzihl). I’ve cadged a lift to Bruno’s seven-hectare Haldihof on a glorious May day when the alps are festooned with wildflowers, soft grasses undulate in the breeze and cow bells can be heard tinkling up the mountainside. 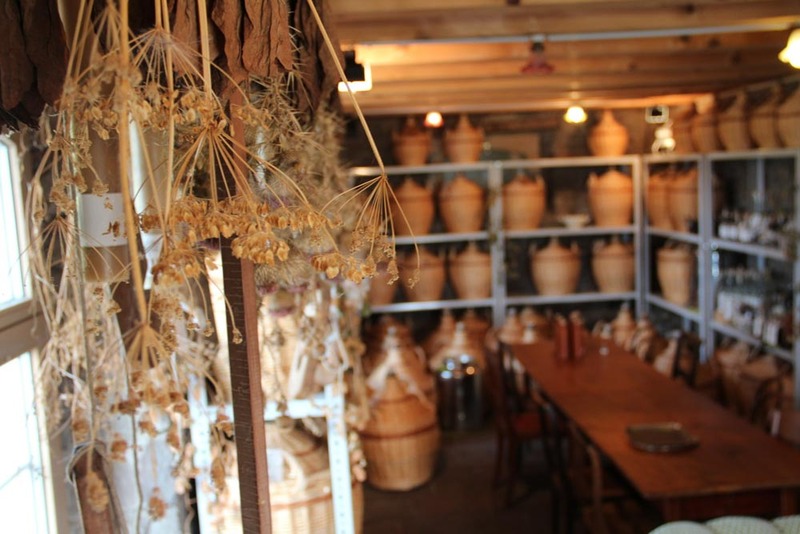 The small farm and distillery is pure storybook, but make no mistake, this is a powerhouse of organic production: vinegars, preserves, mustards, soaps, schnapps and gin, all flavoured with delicate alpine botanicals. The output may be prodigious but the old farm retains a feeling of homely authenticity and is open seven days for hikers walking the trail or gin devotees dropping by for a jigger or two, and lunch in the lake-view café. Since purchasing the farm a decade ago, Bruno has repurposed a collection of old agricultural buildings to include an old-fashioned farm shop and a tasting room, housed in the 200-year-old cowshed. I’ve conjured The Good Life but The Darling Buds of May would be a better guide to the bucolic scene unfolding just outside the shed doors where chickens scratch contentedly, peacocks adorn fence posts, herbs tumble out of garden beds and fruit trees lift their blossom-laden skirts against a rising tide of wildflowers. Inside the cowshed guests gather at a long table to sample gin in mismatched antique glasses; the whole thing feels like a rather superior vintage shop with bar attached. Bruno studied botany before taking on the farm and produces two flagship dry gins, one herbaceous the other floral, the latter flavoured with 16 botanicals including blood orange, dog rose, wild cherry and verbena. In the still room, shelves are lined with bottles of schnapps (a hiking essential in these parts), dispensed in small flasks (the cap doubles as a shot glass) or hollow walking sticks. A schnapps’ provenance can be traced to a single tree and the flagship Rigi Kirsch is aged for five years to deliver a super smooth finish. The looming Rigi adds an indefinable sense of romance to the fruity tipples produced here. It first captured the imagination of international tourists in the 19th century; Turner painted it; Queen Victoria journeyed up it in a sedan chair. In many ways the visitor experience is little changed; you can still journey to the summit on the original 19th-century cogwheel railway and, if you time it right, return to Lucerne aboard a century-old paddle steamer. What is new is Bruno’s wonderful gin, produced on a model organic farm that’s become a favourite with local chefs and weary mountain hikers.